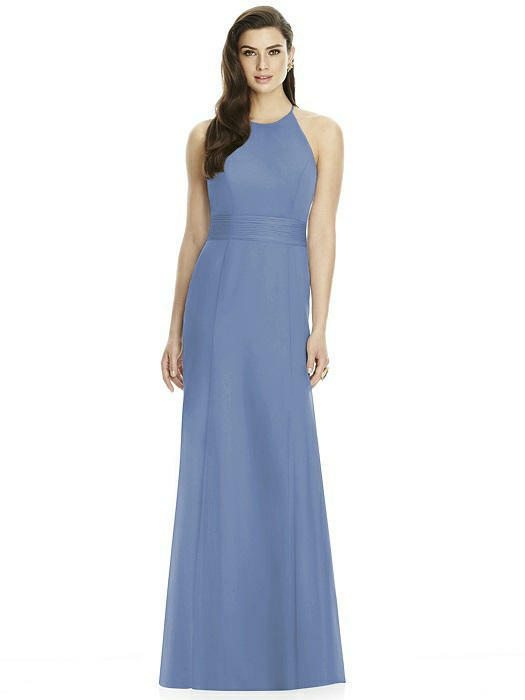 Full length lux chiffon dress with modified halter neckline and triangle cut out detail at open back. Streamers at back of shirred waistband. Trumpet skirt.